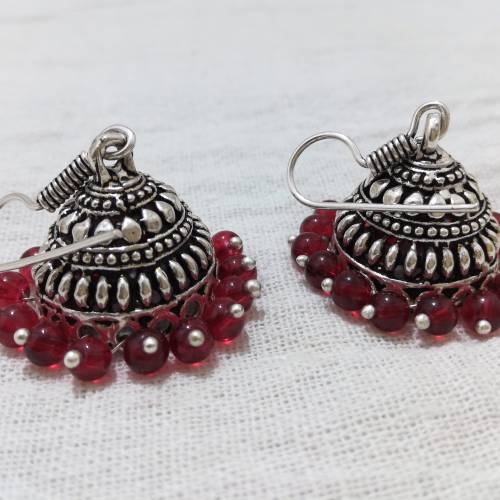 Exhibiting excellent workmanship, these oxidized Afghani dangler style Necklace and jhumki earrings by us will not disappoint you, wherever you adorn it. Intricately crafted from brass, these earrings have traditional design for added attraction. 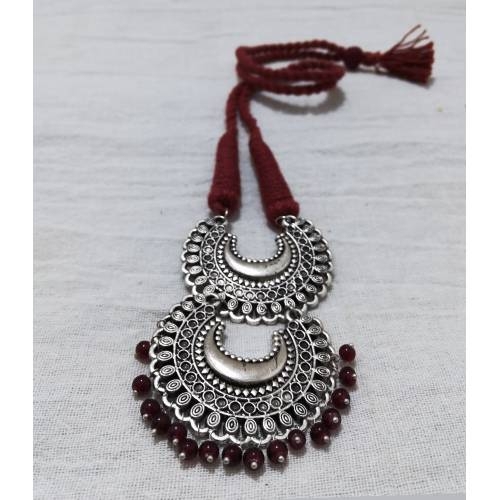 Team this Necklace with your best traditional outfits to stand out in the crowd.